Hello everyone! Anthony Vapes here again. 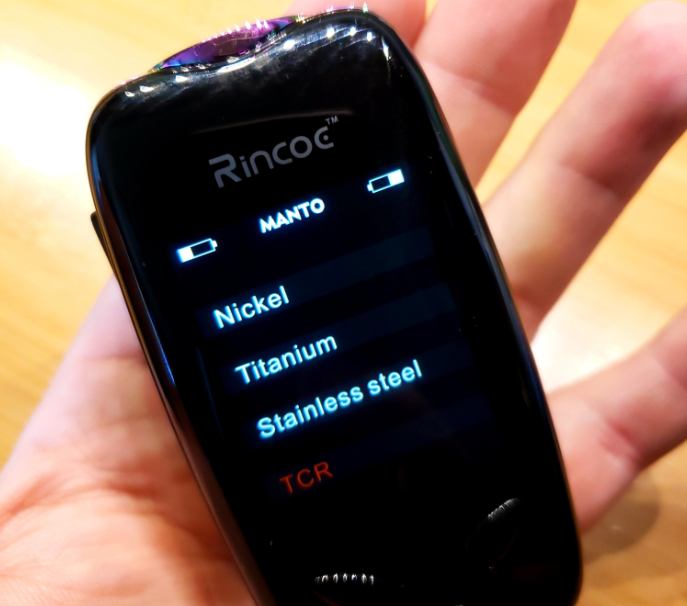 Today we’re going to talk about the Rincoe Manto 228W Kit. 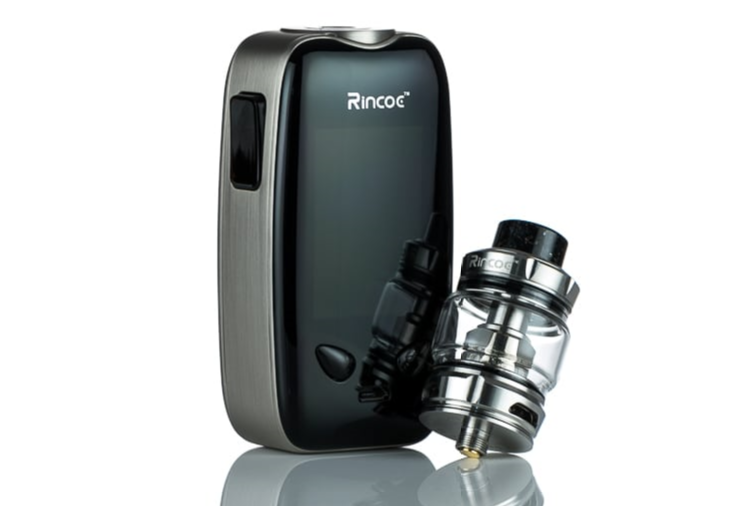 This kit contains their first mod the Manto, paired with their first tank the Metis tank. 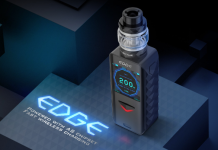 Rincoe is a new company in vaping that started this year. Their first release was the ceto pod system. 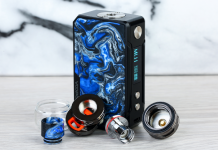 The Manto is a dual 18650 mod rated at 228 watts and is styled similar to a Charon Mini or Vaporesso Polar but more rounded with a large full-color screen. It’s available in 5 colors; Red, Blue, SS, Black, and Rainbow. All colors are black on the front and back and colored in the middle. All colors include a matching Metis Tank. When I first got this Mod, it immediately reminded me of the Revenger Mods but with a nicer larger screen which I like a lot. 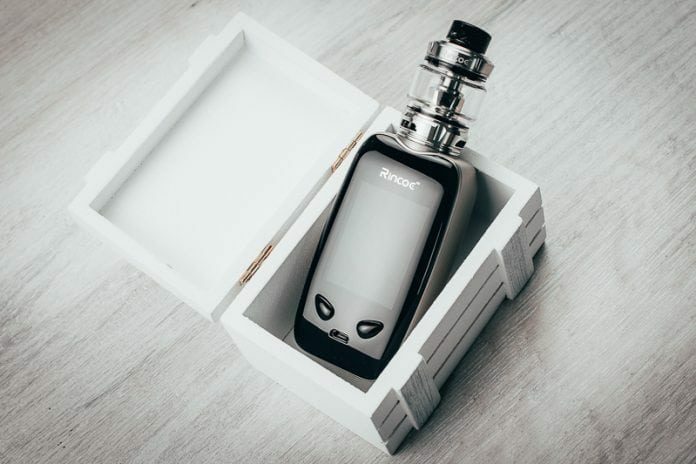 It’s also very similar to the Smoant Charon Mini and Vaporesso Polar in size, shape, design, screen. Also, I got a rainbow one and I love the coloring on it. The screen and layout are really nicely done and easy to navigate. The Metis tank is a pretty standard sub-ohm tank and is compatible with the baby beast styled coils as well. Overall I really liked this kit from the start. Now let’s get into some data. I ran my normal testing. I used Sony VTC5A batteries for the testing. Testing resistances were done at .12, .15, .2, and .62 ohms. Wattage points were max (228), 200, 150, 100, 75, 50 and 25. At .12 ohms it maxed out at 178 watts and 39 amps. For the rest of the testing, it was a little on the low side 1-6 watts. Pretty accurate at such a low resistance where many mods struggle At .15 it maxed out at 207 watts. The rest was pretty good within 1 watt except 200 where it did 207 and 25 where it was 2 watts high. For the 0.2 test, it maxed out at 193 watts. Again pretty good but a little on the high side 1-3 watts except at 150 where it was 5 high. For the 0.62 testing, it maxed out at 85 watts and 7.258 volts. For the rest of the testing 1-5 watts high. The volts shows there is no boost circuit in this mod like most dual 18650 mods although it is nice when a mod has one. Overall, I felt the performance of this mod was pretty good. It didn’t really struggle with the 0.12-ohm build which was surprising I was able to get 178 watts at that resistance. It mostly hits slightly high. I was able to get 207 watts max, so I consider it to be accurately rated at 228 watts. It’s close enough and does over 200 and could have maybe gotten a little more had I tested a .17 ohm build. The 7.258-volt limit shows there is no boost circuit. Their manual lists the max volts at 8V so it’s a pretty accurate rating but a little overrated IMO. They list an amp limit on this mod of 50A. The most I got was 39 with a 0.12-ohm coil which is average for a dual battery 18650 mod but way short of the listed spec. They should have listed it at 40. Personally, If I was listing the specs I’d call the mod 210 watts, 7.5V and 40A. So overall not bad listings except the amp limit which I feel is way overstated. The mod never got warm when stressing it at 150 or fewer watts however over 150 it does take on a lot of heat from the atomizer. Not unsafe hot but more than I would feel comfortable with using all the time. Still, I don’t recommend vaping over 150 watts on a dual battery mod and make sure to always use 20a CDR batteries or higher. For people’s normal vaping habits and the safe limits, the mod won’t run hot. The mod also fires very fast and the preheats all work correctly. Using SS316 wire in TCR mode with a TCR of 92, I tested 6 builds. 1 simple round single coil, 1 simple round dual Coil, 2 large fancy single coils build, and 2 large fancy dual coil builds. The mod has fully adjustable watts and fully adjustable TCR in TCR mode but no adjustable TCR in preset TC modes like SS, Ni200, and Ti. With that said in TCR mode, the TC was surprisingly good. I wasn’t expecting much from a new company first mod but I had no issues at all. It was always consistent, smooth throttle, no dry hits and a warm vape in the 420-460 F range. No complaints there at all. I liked it so much I didn’t bother to use the pre-set SS mode too much but it does hit hotter than TCR mode so I assume it has a higher TCR setting and just stuck in TCR mode instead. Adjusting the temp also changes the ramp up and is easy to do. Overall pretty impressed and a good mod for TC. 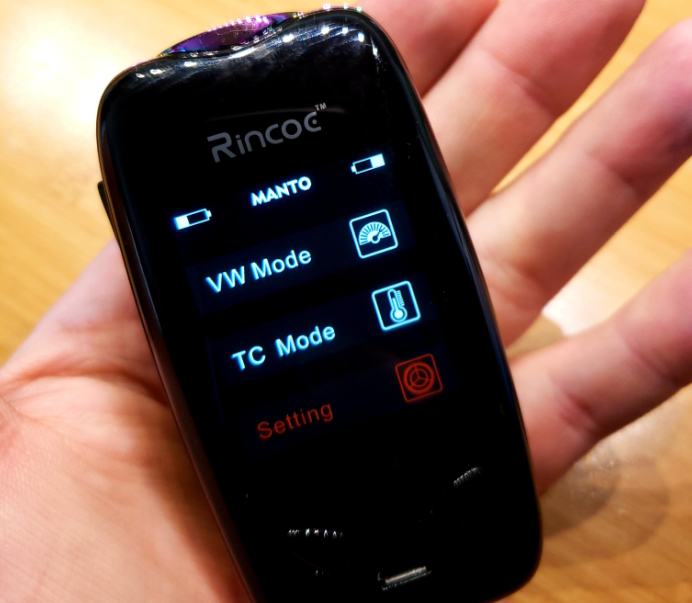 The Rincoe Manto 228W mod uses a standard 5 click to turn on and off. The menu system is good and easy to navigate. Really well laid out and simple to use. 3 clicks take you to the menu and you can choose from VW mode or TC mode or settings. In VW mode you have 4 preheat options min, normal, high, and max. In TC mode you have 3 preset options Nickel, Ti, and SS as well as TCR. Use fire to select when in the menu. Selecting TCR prompts you to set the TCR value while any other selection locks in the mode and takes you back to the home screen. In settings, you can set the screen brightness, the screen timeout, and the color for the screen as well as reset the puff counter. It does a good job of having all the options you need without being overbearing or over complicated although a watt curve mode would have been nice to have as well. When in TC mode you can hold minus and fire to adjust the wattage or plus and fire (TCR only) to adjust the TCR. Holding plus and minus locks the adjustment buttons but you can still fire. 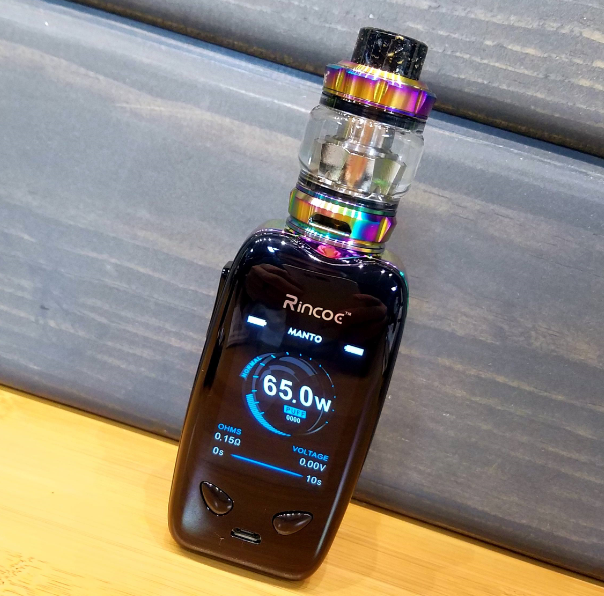 The Rincoe Manto 228W adjusts by 0.1-watt increments under 100 watts and full watt increments 100 or more, not a bad setup overall. It also does round-robin wattage which is nice. The mod itself is built solid with no rattle at all and has a good weight. Feels solid but not heavy. The battery door is a standard magnetic backplate and it’s easy to get batteries in and out without damaging wraps and takes 2 18650 batteries. 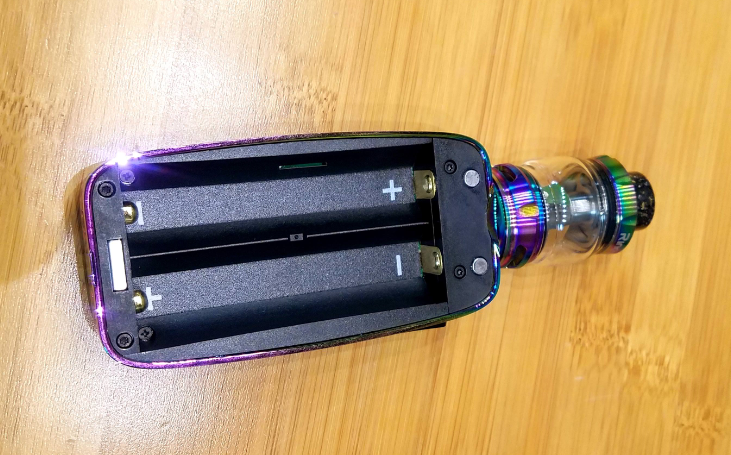 There is no ribbon in the battery sled but instead, the batteries just stick out a little like the Charon Mini and Vaporesso Polar so are easy to grab onto and pull out. The battery door is solid metal but also has a coating sticker on the inside which is great and acts as a layer of protection as well. The paint looks nice and doesn’t scratch off, and I have no visible wear on mine except on the bottom. I love the coloring on the Rainbow one. The front and back panels are IML (In-mould labeling) which decorates the panels with the design and makes it more resistant to scratching. The fire button is nice and clicky and a good size. It’s a black smooth rectangle similar to the polar mod. It works well and it never gets stuck or anything even though it is as it should be. The 510 pins gave me no issues and every atomizer I used on it worked great with no gaps. The mod handles 25 mm atomizer flush. Anything bigger will overhang. The 510 is centered and on its own round platform. The screen is a massive size 2-inch color screen that is nice and bright and easy to see. Even in sunlight, it’s pretty visible. Love the screen on this thing. This, the Charon Mini, Vaporesso Polar, and Innokin Proton to me are the nicest screens on the market. Also for branding, the mod itself is pretty nice overall and not heavily branded. There is a small Rincoe on the front above the screen and small Manto on the bottom on the back. They list 2A charging as well but I don’t recommend charging internally in your mods and I don’t test charge rates. 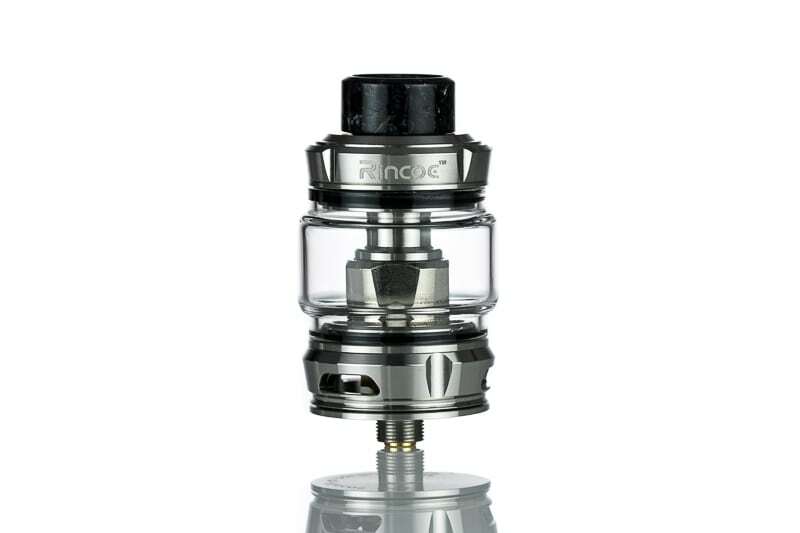 The Rincoe Manto 228W kit comes with a Metis tank. They only give you 1 coil with it which is a .15 ohm mesh coil rated for 40-80 watts and it’s cross-compatible with “baby beast styled coils” so coils will be easy to come by. Sadly 1 coil included doesn’t help much and mine was a bum coil that leaked so couldn’t really judge it at all. They also have a .15 ohm hive option on their site which is funny because I remember calling a similar coil in a different review a honeycomb coil so the hive is kind of fitting. They also have a triple mesh and quad mesh coils. The triple mesh I didn’t get to try much at ECC, however, the quad mesh I did get to vape at ECC and it was pretty amazing if you can handle high watts. I’ll just copy what I wrote about it in my ECC post. “It’s rated 130-180 watts. I wanted to push it. I pushed it all the way to 200. 200 was too hot but didn’t burn. 180, however, was perfect. Best flavor I’ve gotten from any tank. I didn’t want to stop vaping it or give it back. I chain vaped it at 180 watts and it was a little warm and very tasty. Very impressed. 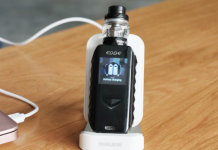 I vaped about 10-14 ml of juice in it at 180 watts in a span of 20 mins or so” I’d imagine the triple mesh would be more popular overall though due to the lower watt demands. The tank itself is a nice capacity 6 ml bubble glass tank which is great for a tank. It follows the same design concepts of many sub ohm tanks on the market like the Ello Duro, Smok Tanks etc. The coil screws into the base then into the chimney on the top cap. Nothing different or special. The top fill is a standard screw off the top cap to expose 2 large fill holes that can be filled with any bottle or just pouring it in. The threading on this was also very nice. Pretty standard tank to start with but can’t really judge the performance of it to see if it stands out in a crowd until I can more thoroughly use some quad or triple mesh coils from it. 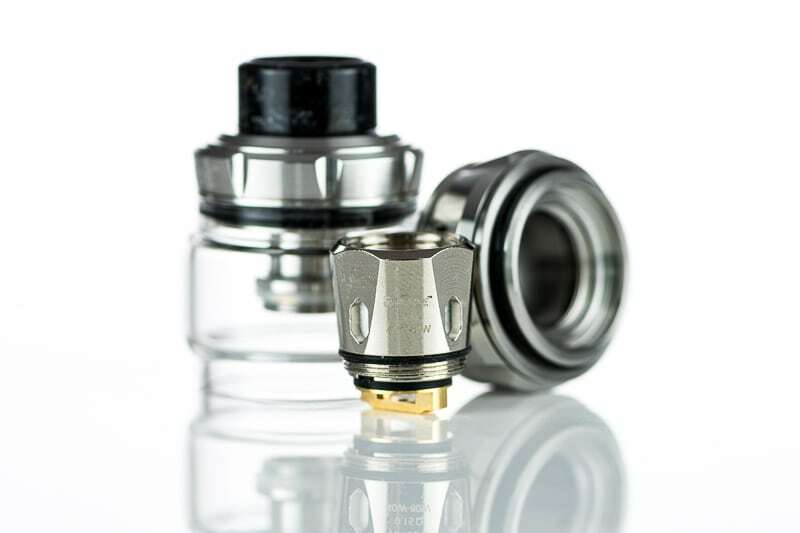 But if the quad mesh coils can last and work as good as they did for me at ECC I’d be impressed with the tank. It’s pretty bare as far as accessories go, however. The included 810 resin tip is really nice and you get some o-rings and a 510 adapter, however, no spare glass is really odd and bad and plus coming with more than 1 coil is a standard they should have met. 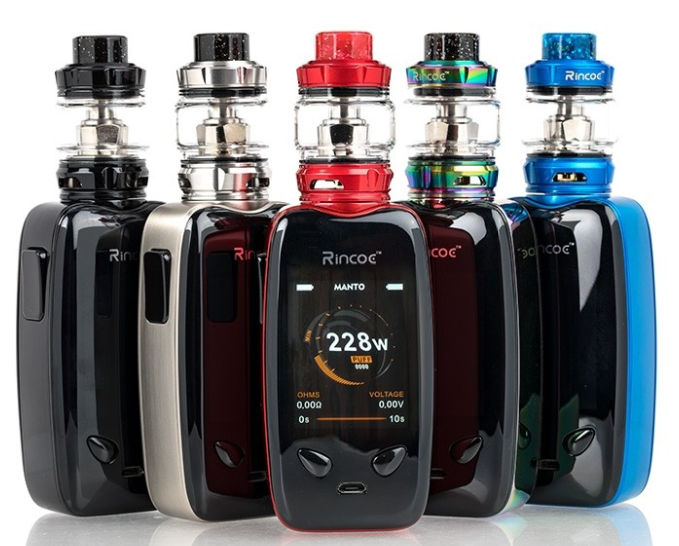 So with all that said, do I recommend Rincoe Manto 228W Kit or not? I’ll break it down by section. For the tank itself, it’s really to hard to judge since I don’t have any of the best coils to use thoroughly and the 1 coil it came with was a dud. Worst case though if you got the kit is you can use any baby beast style like the Vaporesso GT mesh coils and have an average tank but I can’t recommend buying one separate until I can test some of their better coils. The mod, however, leans heavily towards the yes. I really couldn’t find any issues or faults with it. It does lack some features of the Charon Mini like the watt curve mode but outside of that is just as good of a mod as any I’ve reviewed this year and is simple to use without being overbearing and just works. Hard to complain about that. Thanks for reading dear vapers and I will be back with more reviews soon!